You will get rid of the cigarette stench or at least bring it down by a notch or two. No one likes to be around a person that reeks of Cigarette smell let alone sit in a car for quite some time that carries the same smell with it. This may not be an issue to people who regularly smoke but it is quite repulsive to non-smokers. 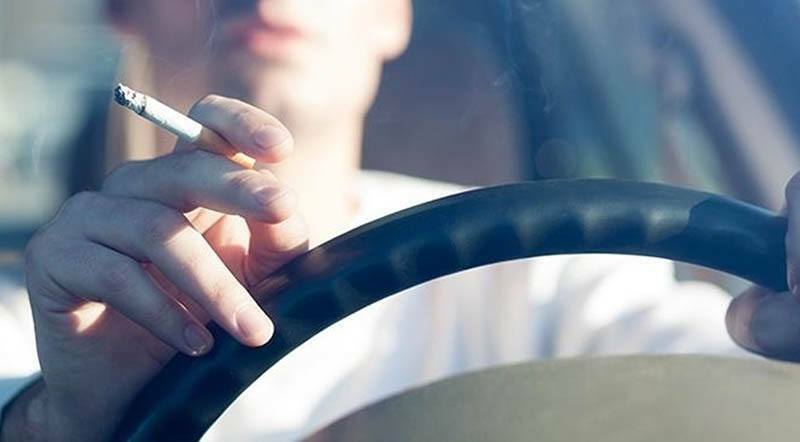 For this purpose, I have compiled seven tips to eliminate cigarette smoke from your car. We are pretty sure that you will get rid of the cigarette stench or at least bring it down by a notch or two. This is a great solution for those individuals who are using cloth seats in their car. Simply, wipe your car seats thoroughly with these sheets and it will give a deep and fresh scent to your entire cabin. An additional benefit these sheets provide is prevention from mosquitos. Who likes oranges and lemons? I guess everybody does. Well, did you know that instead of throwing the peels of these fruits away you can just put them in a bottle or a cup and simply place them inside your vehicle? This method will not only eliminate cigarette smoke but will also replace it with a fresh fruity scent that will fill your entire vehicle. This option is well suited for those who would like to replace the smell of smoke with a sweet scent of cinnamon. All you have to do is boil some cinnamon in tap water, pour it into a cup and place it inside your car. To get the most out of this method, you should keep your car windows up and turn on the heater for at least 25-35 minutes. A cup of vinegar placed in the cup holder of your car might just do the job for you. To make this method more effective, leave the cup in your car overnight. This will lessen or completely eliminate cigarette smoke from your car. Almost, everyone nowadays likes to read a newspaper as a part of his morning ritual. Well, apart from giving you latest stock market prices and other latest political news, a newspaper can come quite handy when it comes to getting rid of cigarette smells. So, instead of throwing them out, leave them in your car overnight, and they will do the trick for you. Our day does not start without a fresh mug of coffee, as we need it to jumpstart our entire system. How about you sit in your car and instead of smelling the nasty stench of cigarette smoke you smell coffee grounds through your nostrils? Sounds refreshing huh! Place a bowl filled with coffee grounds and keep the windows closed; the stench will be gone in a matter of few hours. A short-term, monetary fix would be to buy a reliable air deodorant from your nearest store and spray it in your car. You may have to pay a few dirhams for it but it will do the job nicely and you will be able to eliminate cigarette smoke from your car in no time. Please feel free to apply these methods and comment down below about what worked out for you or if you use other ways to eliminate cigarette smoke smell from your car. Here’s another guide to clean your car interior.